This easy-to-use kit allows you to restore clarity and long lasting protection to sun damaged and hazy headlight lenses quickly and effectively. needed to restore the cloudiest or sun damaged lenses. Get great results on most plastic lenses, such as tail lights, trailers, boat windows, helmet visors, motorcycle windscreens, snowmobiles and more. Professional results can be produced with this easy-to-use kit at a fraction of the cost. Are there any special tools required to properly use this kit? No, the whole procedure can be done by hand. 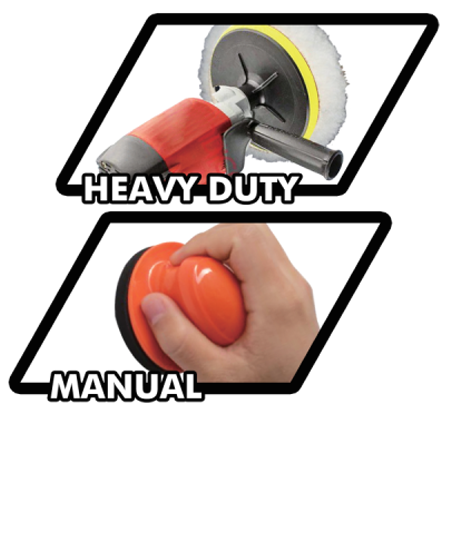 However, using a grinder for the polishing and sponge components will aid in polishing. Are the effects of this kit permanent? This kit includes a protective paste to ensure the longevity of the effects. However, the headlight will naturally fog again over time. Can a headlight lens be restored more than once with this kit? 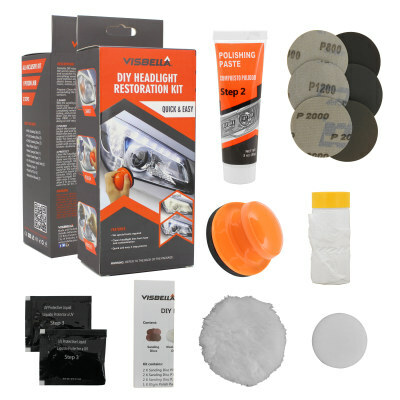 This kit is intended to restore 2 headlights. 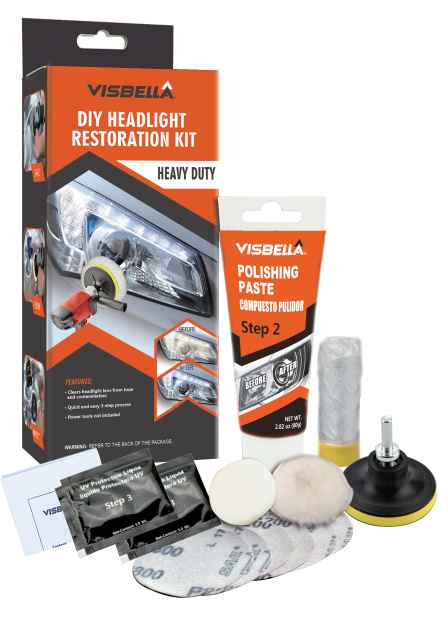 However, you can restore the same headlight multiple times using this kit. Can I wash my car after I use this kit? As per instruction, do not wash the car for at least 24 hours after using the kit to avoid getting any moisture on the applied headlights.